With an unmatched combination of quality, value and fun, Carnival Cruise Lines has become the world’s most popular cruise line, carrying more passengers than any other cruise operator. With an unmatched combination of quality, value and fun, Carnival Cruise Lines has become the world’s most popular cruise line, carrying more passengers than any other cruise operator. From the moment guests board a Carnival “Fun Ship,” they’re treated to a seemingly endless variety of on-board dining, entertainment and activity options while enjoying friendly and attentive service that has become the company’s hallmark. With its unique on-board ambiance, a Carnival vacation is like no other, providing guests the opportunity to create a lifetime of wonderful memories with friends, families and loved ones. 1. 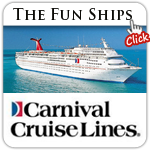 Carnival delivers fun, memorable vacations to our guests aboard any one of our 23 modern floating resorts. 2. 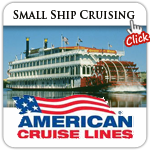 Sailing from 19 North American departure ports – the most in cruising – with a choice of 3 to 16 day itineraries. 3. A wide variety of dining choices, including full-service dining venues and expansive casual eateries, as well as elegant steakhouses and sushi bars on select ships. 4. Supervised programs for children and teens: Camp Carnival for 2-11. Circle “C” for 12-14 and Club O2 for 15-17. 5. Exciting shore excursions offering a wide range of choices, ranging from popular sightseeing destinations and water-based activities to exhilarating adventure-style offerings. 6. Spa Carnival offering pampering services, fitness centers with the latest equipment, exercise classes, and sauna and steam rooms. 7. Onboard fun including lavish revues in multi-level theaters, dance clubs, live music venues, sports and wine bars on select ships, and duty-free shopping. Celebrity Cruises is designed for discerning cruisers, with modern, sophisticated environments, impeccable service, enriching and inspiring onboard programs, and world-class cuisine. Celebrity Cruises is designed for discerning cruisers, with modern, sophisticated environments, impeccable service, enriching and inspiring onboard programs, and world-class cuisine. 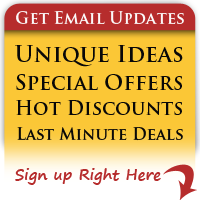 The ultimate in premium cruising, Celebrity sails in Alaska, Bermuda, California, Canada/New England, Europe, the Pacific Coast, Panama Canal, South America, Caribbean and the Galapagos Islands. 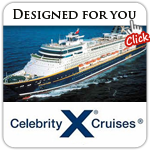 Celebrity also offers immersive cruisetour experiences in Alaska, Canada, Europe and South America. Celebrity’s mega-series of honors include being named the top mega-ship line in Condé Nast Traveler’s annual Readers’ Choice Awards (November 2009). Celebrity’s fleet currently consists of nine ships. Its $3.7-billion investment in building five stylish Solstice Class ships between 2008-2012 represents the largest newbuild commitment for a single brand in industry history. Celebrity’s new Designed for You brand platform, revitalization program and ad campaign are only part of the investment the line is making to continue to offer the best in premium cruising. This is part of a total package, including our robust, new Celebrity Life enrichment and entertainment programming; our enhanced Captain’s Club loyalty program; museum-quality contemporary art collections; our industry-first ConciergeClass accommodations across the fleet and, on the Solstice Class fleet, AquaClass; and guest-inspired partnerships with Riedel Crystal, Rosetta Stone, Smithsonian Journeys and, on the Solstice Class fleet, The Corning Museum of Glass. Celebrity Cruises, Designed for You. 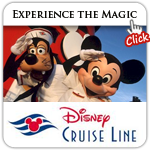 Disney Cruise Line specifically designed its ships with areas and activities that appeal to the unique vacation needs of every member of the family. As the winner of 18 consecutive “Best Overall Cruise Value” awards from the World Ocean and Cruise Liner Society, and consistently among the highest-rated premium cruise lines year after year in Conde Nast Traveler’s “Readers’ Choice Awards” and Travel + Leisure magazine’s, “World’s Best” awards, Holland America Line is known for gracious and attentive service. Its ships have one of the highest staff-members-to-guest ratios. Spacious staterooms average 25 percent larger and verandahs twice as large as those on other lines’ ships. Dining choices include formal elegance, intimate specialty dining, casual fare and complimentary 24-hour room service. Holland America Line’s ongoing Signature of Excellence initiative has invested more than $540 million in shipboard enhancements including the Culinary Arts Center presented by Food & Wine magazine “a state-of-the-art onboard show kitchen” where more than 60 celebrated guest chefs and culinary experts provide cooking demonstrations and classes, Explorations Café powered by the New York Times, teens-only activity areas, new stateroom amenities including flat-panel TVs and plush-top Mariner’s Dream Beds. With the introduction of the 2,104 passenger ms Eurodam in June, 2008, Holland America Line’s fleet grew to 14 ships, offering nearly 500 cruises from more than 25 home ports. Itineraries range from two to 108 days, visit all seven continents and all of Travel + Leisure magazine’s “Top 25 Cruise Destinations.” A 15th ship, ms Nieuw Amsterdam, joined the fleet in July 2010. 1. 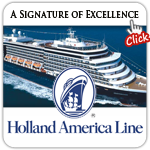 The leader in worldwide premium cruises, Holland America Line offers the widest selection of cruise destinations and itineraries among major cruise lines. 2. Stylish and comfortable ships with extra measures of personal comfort, staterooms averaging 25-50% larger then other line’s ships, one of the highest staff members to guests ratios, and the classic elegance preferred by experienced cruisers. 3. The perfect choice for multi-generational family groups, with Club HAL for kids, spa and fitness programs for adults and a range of dining option for all. 4. Consistently receives high ratings for guest satisfaction, acknowledged for exceptional value and has one of the highest repeat factors in the cruise industry. 5. Menus are among the most extensive at sea. As You Wish dining allows guests to choose either traditional pre-set seating and dining times, or a completely flexible dining schedule. 6. Enhanced onboard features and programs including the food demos and classes by shipboard and celebrated chefs in the Culinary Arts Center presented by Food and Wine magazine. Norwegian Cruise Line is the innovator in cruise travel with a 44-year history of breaking the boundaries of traditional cruising. Today, Norwegian has 11 purpose-built Freestyle Cruising ships providing guests the opportunity to enjoy a relaxed cruise vacation on some of the newest and most contemporary ships at sea. Norwegian is known for its signature Freestyle Cruising. Challenging the conventional model of cruising, this on-board program is designed to meet the changing needs of today’s cruise passengers. It offers Norwegian passengers a more relaxed, resort-style cruise product with complete flexibility and non-intrusive service of the highest standard. Hallmarks of the innovative on-board program include up to 20 places to eat (from casual to elegant), open seating and extended hours in the main restaurants, “resort-casual” attire each night, simplified tipping procedures, and a more leisurely disembarkation procedure. In the summer of 2010, Norwegian Epic joined the fleet, expanding the concept of Freestyle to include entertainment, with headline acts such as Blue Man Group. 1. 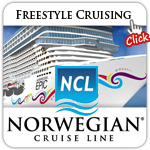 Norwegian offers Freestyle Cruising, which challenges the conventional model of cruising and is designed to meet the changing needs of today’s cruise passengers. Freestyle Cruising is characterized, in particular, by having no fixed dining times, no formal dress codes, up to 20 different dining experiences (from relaxed to elegant), relaxed disembarkation and even more lounges, bars, theatres and other entertainment and activity options. 2. Norwegian offers cruises from 11 U.S./Canadian ports: Boston, New York, Miami, Tampa, Port Canaveral, New Orleans, Los Angeles, Honolulu, Seattle, Quebec and Vancouver. 3. Norwegian’s innovative Villas consist of Courtyard Villas, Garden Villas, and Deluxe Owner’s Suites, which are located on the top two decks of each Jewel-class and Epic-class ship. Guests in these luxurious accommodations can enjoy a private haven while still experiencing all the amenities, and Freestyle flexibility, of a big ship. 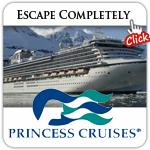 Princess Cruises is a global cruise and tour company. It operates a fleet of 16 ships on 115 different itineraries traveling to more than 350 destinations around the globe. Princess Cruises, one of the best-known names in North American cruising, is a global cruise and tour company. It operates a fleet of 16 ships on 115 different itineraries traveling to more than 350 destinations around the globe. Princess itineraries span the globe, with cruises ranging from seven to 107 days in length. Destinations include the Caribbean, Alaska, Europe, Panama Canal, Mexico, South Pacific, South America, Hawaii/Tahiti, Asia, India, Africa, Canada/New England and World Cruises. Princess is one of the leaders in Alaska Cruisetour vacations, and owns five riverside wilderness lodges, plus a fleet of railcars and luxury motorcoaches, which take passengers through the heart of the 49th state. Princess additionally operates cruisetours in China, Australia, Africa, India, Europe, the Canadian Rockies and the eastern United States. Princess Cruises offers passengers the opportunity to escape completely from the routine by being the consummate host in settings of awe and beauty. Princess offers a variety of signature programs and features, including Movies Under the Stars poolside screens; The Sanctuary, an adults-only oasis of tranquility; the street café atmosphere of the Piazza; and a variety of popular programs such as a unique Chef’s Table dinner. Royal Caribbean guests are active travelers who are looking for new experiences, a wide array of choices for the whole family, and a great vacation value. 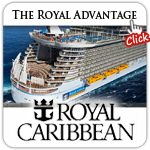 Royal Caribbean International is a leading, innovative cruise vacation company. Our guests are active travelers who are looking for new experiences, a wide array of choices for the whole family, and a great vacation value. From activities onboard our ships like rock climbing, surfing and ice skating to shoreside adventures like glacier trekking and exploring Mayan ruins, we provide an experience that lets our guests see and do more than they ever imagined in places all over the globe. The brand is distinguished by our Gold Anchor Service, energizing onboard and shoreside adventures, the most amazing and innovative ships, and remarkable destinations all over the world. Whether it’s a 3-night getaway, a longer 14-night vacation, or something in between, Royal Caribbean provides an amazing vacation experience. 1. 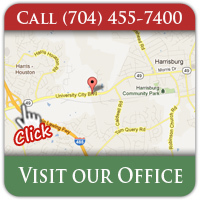 “Gold Anchor Service” – Friendly, engaging and personal service with one goal in mind: Deliver the Wow! 2. Royal Caribbean International is the Nation of Why Not – a place where innovation and imagination reign supreme. Energizing onboard and shoreside adventures – From our Adventure Ocean Youth Program to the Flowrider, bungee trampolines, rock climbing walls, ice skating and in-line skating onboard, to heli-hiking and swimming with stingrays shoreside, you’ll see and do more on a Royal Caribbean vacation. 3. The most amazing and innovative ships in the industry – Featuring Oasis Class, Freedom Class, Voyager Class, Radiance Class, Vision Class and Sovereign Class, Royal Caribbean continues to lead with innovation in hardware. 4. Remarkable destinations all over the world – We sail to over 280 global destinations including the Caribbean, Alaska, Asia, Europe, Dubai, Mexico, Bahamas, Bermuda, Panama Canal, Canada/New England, South America and Hawaii. With no more than 120 passengers on each of our ships, the cozy intimacy of our cruises is conducive to intimacy and relaxation.